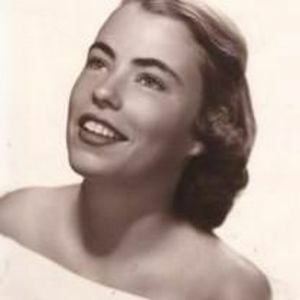 Santa Barbara - Nancy Turner, 88, passed away peacefully, surrounded by her loving family. Nancy was born in Oakland to Irish immigrants James C. Walsh and Ann McDonnell Walsh. Nancy had three brothers: James C. Walsh Jr., Msgr. Donnell Walsh, and Kevin Walsh. In her youth, the family spent every summer at their cabin on the Russian River in Guerneville. Nancy attended Our Lady of Lourdes grammar school, Holy Names High School in Oakland, and Dominican College in San Rafael, where she majored in Art. Nancy met and married her husband, Marshall, in 1950 shortly before Marshall was deployed to the Korean War. After returning from the war, Marshall owned and operated several successful automobile dealerships. Marshall and Nancy enjoyed a wonderful life together, raising ten children - their ultimate pride and joy. The family first lived in Oakland, then Lafayette, before finally settling in Piedmont to accommodate the growing family. In the early 1960s, Marshall and Nancy built one of the first houses in the Seadrift community of Stinson Beach. The family spent every summer and as many weekends as they could at their beach house. Marshall and Nancy eventually relocated to Santa Barbara, then to Aptos, before they finally retired to Carmel. There was never a more devoted wife, mother, grandmother or friend than Nancy. Outside of raising her ten children, Nancy loved to work in her garden, read, play tennis and volunteer at the Carmel Mission. Nancy was a devout Catholic and it is with that faith her family believes that she is now with Marshall, family members and friends in heaven. In addition to her parents and brothers, Nancy is preceded in death by her husband of 65 years, Marshall, and granddaughter, Emma Sauer. Nancy leaves her ten children: Jane Turner Carson, Mary Sue (Ed) Arbios, Marshall "Chip" (Betsy) Turner Jr., Millicent (Ramsey) Turner Harris, James (Deanne) Turner, Kathleen Turner, Anne (Tom) Sauer, Sally (Robert) Mesa, Hal Turner and Michael (Julie) Turner; she also leaves 25 grandchildren and 3 great grandchildren. The family would like to thank Buena Vista Senior Care, Hospice of Santa Barbara, and Fr. Reginaldo Salcedo for their most compassionate care of our mother. Vigil service will be Sunday, August 20, 7:00 pm at The Paul Mortuary, 390 Lighthouse Ave., Pacific Grove, CA, with Mass of Christian Burial on Monday, August 21, 10:00 am at the Carmel Basilica. Interment will follow at the San Carlos Catholic Cemetery in Monterey. Any donations in remembrance may be made to St. Jude Children's Hospital or charity of choice. You may leave condolences and sign the guest book by logging onto the website www.thepaulmortuary.com.